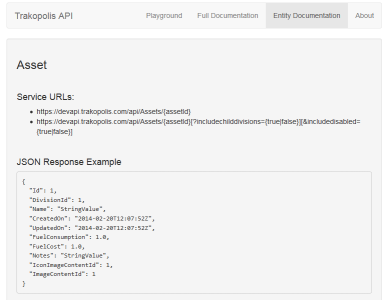 Entity documentation of the API calls are provided by browsing the REST URL using your browser. The URLs, response type, XML and JSON examples are provided. Below is an example of what the documentation looks like. For response parsing, you can expect both XML and JSON respones to be identical to the examples.